In a partnership between Georgia Tech’s executive vice-president for research, Dr. Steve Cross and the Georgia Tech Research Institute’s (GTRI) chief scientist, Dr. Lora Weiss, GTRI is establishing an undergraduate research initiative. 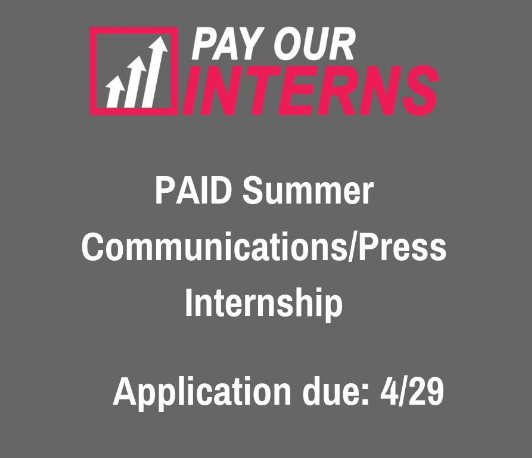 The first announcement under this initiative is a paid, 10-week undergraduate internship program that will begin May 22, 2017 and run through July 28, 2017. 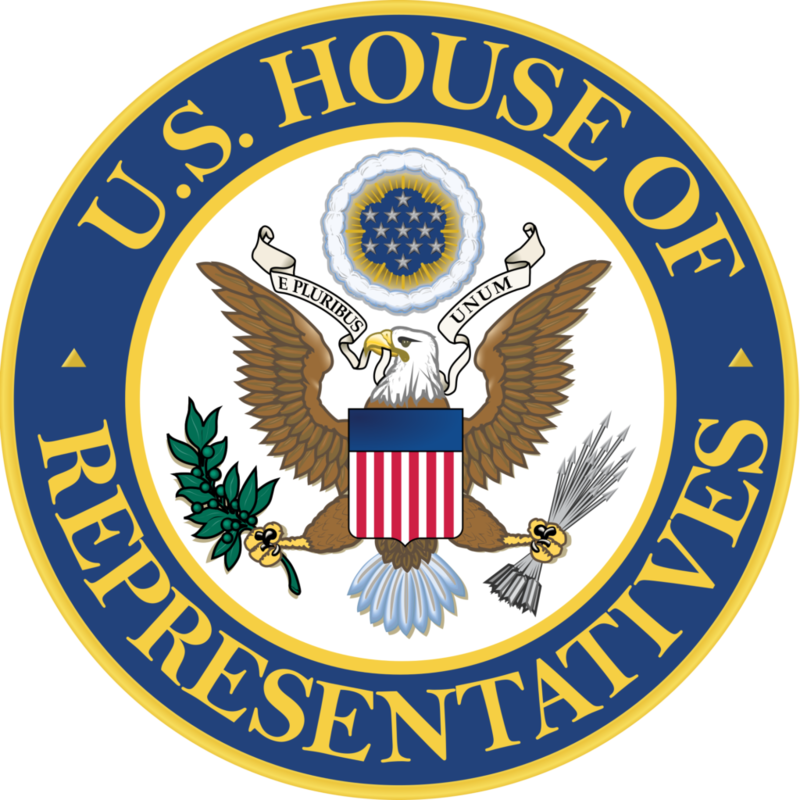 Georgia Tech Research Institute (GTRI) is a world- renowned and highly respected applied research and development organization, with primary focus on technology for national security. Each day, GTRI’s scientific and engineering expertise is utilized to solve the toughest problems facing government and industry across our nation and around the globe. 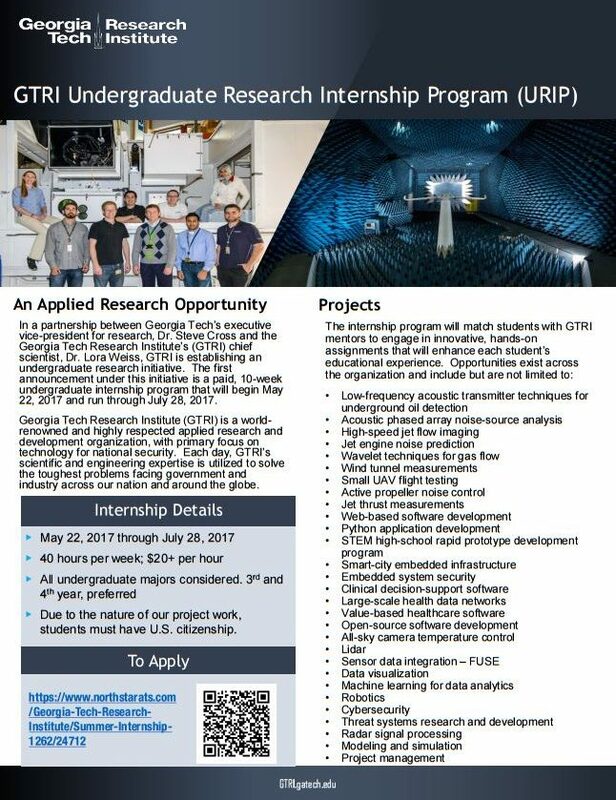 The application deadline for the GTRI undergraduate research internship program is Wednesday, March 15, 2017. Please see the attached flyer or click here for more details!